Chinese Receiver I received in the mail. The picture above is the original adapter. Now right out of the wrapper it works just fine except for one minor issue. The Problem: Picture of the upper corner of the Ouya GUI showing 4 controllers. The wireless receiver does work to a point! Because the android operating system cannot interrogate the controller configuration completely and determine exactly how many controllers are plugged into Xbox’s proprietary 2.4Ghz signal. Ouya and probably other android box’s will simply add 4 players regardless if you have 4 wireless controllers or not. This creates a bit of a problem since the USB is always on and plugged in. The Xbox wireless dongle takes all 4 players leaving the Ouya Controller out in limbo as “Player-0” as I like to call it where you can still navigate the menus but since you’re not an official player many games will simply ignore your Ouya Controller. The only button that cannot be sensed by androids layout is the center “X” button in the middle of the pad to pull up important things like menus. 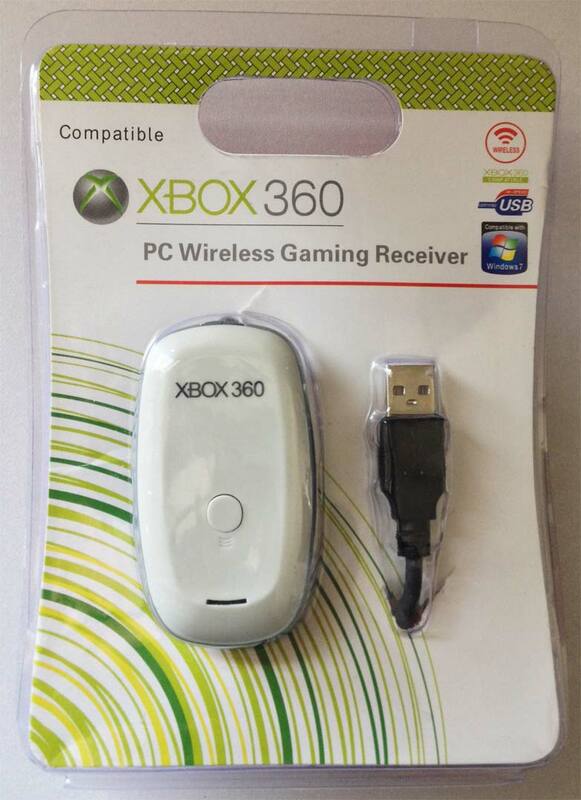 Note: If you are having problem with lag on your Ouya controllers and you DO have 4 xbox 360 controllers. Letting it take up players 1-4 is not bad for party games like Duck Game and BombSquad. It’s a workaround that leaves the Ouya joystick still in control for menus and changing games. While the xbox controllers are just the player controllers. 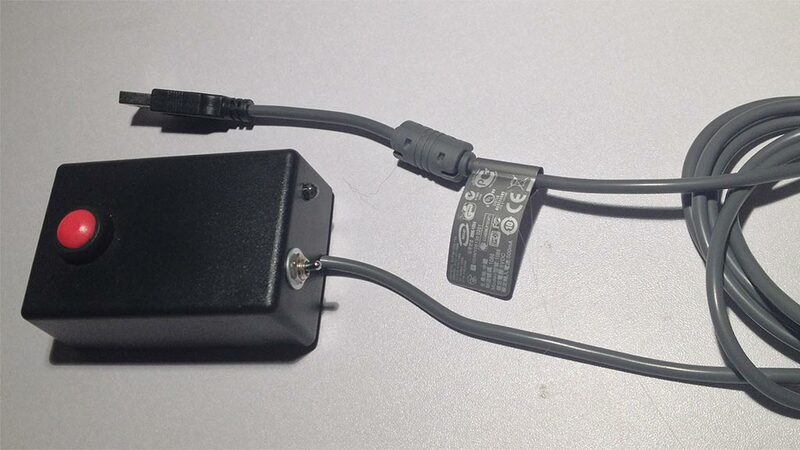 Anyhow I was getting tired of constantly unplugging the USB and replugging it into the Ouya, I’ve already worn out the port once and had to bend the outer-metal back where it should be. So I added some switches and lights to make it a better receiver more suitable for Android. I wanted to actually install a switch into the Xbox dongle so that I could pair my Ouya Controllers up first. and with a flick of a switch add the other controllers to the listing. 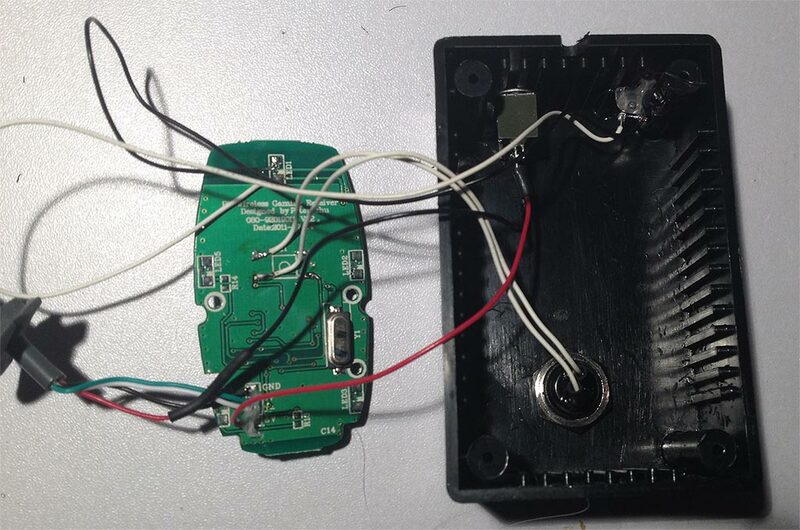 I found out that there was simply no room inside of the default white casing for a switch and to top it all off the casing for the Fake Chinese receiver is interlocking plastics which meant destroying the original case. Which is fine as I picked up a project box for $1.50 from the local hardware store and had some switches and temporary contact buttons laying around from salvaged electronics. All of the holes were done with a simple dremmel and with the casing being all made out of ABS plastics moving the drill-bit around to make larger holes isn’t much of a problem. Finally I added on a green LED and hot-glued it into place and then drilled a small hole where the cable sticks out from the back of the unit. I left the stopper plastics on the cable So that it can’t rip the solder connections off of the board even if I pull on the cable hard. The finishing touches was to place a little bit of velcro on the PCB and the lower cover of the ABS Enclosure and then screw it back together. 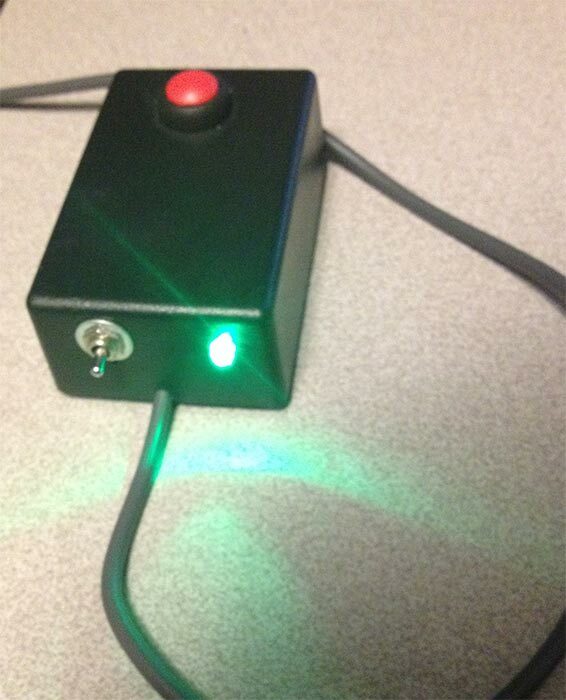 The Red button you see in the picture is now the Xbox Sync button while the single-throw switch is the +5vdc line to give this USB device power and from there be recognized by my Ouya. The unit still works after all of the wire work I’ve done. as to all of the switches which are installed. All and all this is a fairly simple hack to do. It is almost free if you know where you look for some switches and a good project box. The only regret I had about doing this project was I thought removing the PCB LEDs and replacing it with a 5mm led would dim it down a little. Apparently not so much! It’s bright and more blinding then ever! A simple resistor such as an additional 20 to 40 ohms should dim it a little. But in its current state it’s fine really I can face it away from me while I’m playing games. It still works on the PC and reception is equal to before I even started. I was going to experiment with hooking wi-fi entennas to the receiver soldering joint to see if I can use the controller past 30 yards. But it has been working perfectly. I hope you found this information useful. May server protect you. B***.com’s prices are pretty hard to beat for xbox controllers. I buy more and more stuff from there, whether it be xbox controllers or anything else. Way cheaper than any other place I’ve seen. But if you find better prices than B***.com for xbox controllers somewhere, please share! I’m always looking for deals. I was going to spam this because of the blatant advertising your trying to do. But I can find you better prices. It’s called finding a group of call of duty kids that screwed up their controllers due to destroying the analog hats and shoulder buttons. Paying $5 each for broken OEM’s and then fixing them with minimal soldering skill for an additional $3. Congratulations, with a little bit of repair skills you can save controllers from going into our landfills. Your site (which I edited out because I don’t like giving free advertising to people who do not deserve it) sells the Chinese knock off controllers for a HIGHER price then the OEM controllers which is pure insanity. Dude, you’re getting screwed. go back to Ebay.